What is seller’s remorse? The media covers home buyers who have second thoughts after they committed to buy property- something called “buyer’s remorse”. It’s the gut feeling you get when you make a large purchase and then a few hours or days later you begin questioning your sanity. Today, approximately 8,270 homes and condos are for sale in the Multiple Listing Service of Greater Cincinnati and some listings exhibit symptoms of “seller’s remorse”. It is easy to spot them…. Very hard to get an appointment. Properties for sale which require buyers (and their agents) to jump through hoops, turn in perfect circles while touching their noses and execute 3 precise click of the heels of their ruby-red shoes before being allowed to view the inside of a property. What makes this even more interesting is that some of the most “difficult-to-show” have been on the market 10 times longer than average. The sellers never reduce the list price or only insist on price reductions that are insignificant and have no impact on buyers looking for a property to purchase. 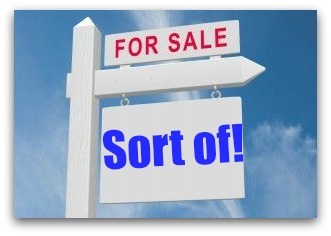 Socially, the sellers tell people they know or meet that they really aren’t interested in selling-just checking the market in case somebody wants to pay the asking price. I’ve actually been at events where prospective buyers heard the comments and decided to look at other properties. Add numerous personal exclusions to purchase contract. Smart sellers remove personal items prior to listing- grandma’s chandelier, the antique mirror in the bathroom and replace with different fixtures. The buyer is able to see exactly what they are purchasing. The remorseful seller waits until they receive a purchase contract and begins to exclude items from the deal… a subtle sabotage that scares many buyers away. Accepts a contract -then refuses to repair major items like broken furnace or cracked foundation. As you can see “sellers remorse” can impede the sale of the property. If you’re a seller reading this blog and shaking your head because you don’t think these are good examples of real problems…..perhaps you’re suffering from a full-blown case of “seller’s remorse”.